Roger W. Ferguson, Jr., President and CEO, TIAA, will be the keynote speaker at the First Quarter JAXUSA Partnership Luncheon on Tuesday, Feb. 28 at the Hyatt Regency Jacksonville Riverfront at 11:30 a.m. The JAXUSA Quarterly Partnership Luncheon on Dec. 13 will feature a special panel discussion: What's Next in the Changing Global Economy and How Jacksonville Can Continue to Thrive. Plan to attend the 4th Quarter JAXUSA Partnership Luncheon on Tuesday, December 13 at the Hyatt Regency in downtown Jacksonville. Members of a special panel will discuss "The Changing Global Economy and Where Jacksonville Fits as an Emerging Powerhouse." 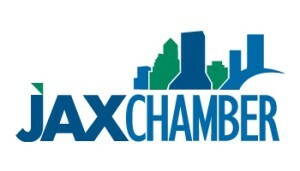 The fourth quarter JAXUSA Partnership Luncheon will be held Wednesday, Dec. 16, at the Hyatt Regency Jacksonville Riverfront. 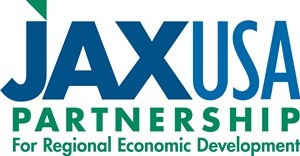 Check-in will begin at 11:30 a.m and the program will run from noon to 1:30 p.m.
Join Chair Mark Frisch for the 3rd Quarter JAXUSA Partnership Luncheon. The luncheon will take place on Tuesday, September 22nd. The program will start at noon at the Hyatt Regency Jacksonville Riverfront featuring keynote speaker Dr. Cynthia Bioteau, President of Florida State College at Jacksonville. Registration is now open for the Sept. 22 JAXUSA Partnership Luncheon, which will be held at noon at the Hyatt Regency Jacksonville Riverfront. Dr. Cynthia Bioteau, President of Florida State College at Jacksonville, will be the event’s keynote speaker. Leadership Jacksonville, recently hosted Celebration 2015, which honored community trustees M.C. “Ceree” Harden, Connie S. Hodges and Cleve Edward Warren for their leadership roles throughout Northeast Florida.